TechGeec.com is open to advertisement propositions. Due to the variety of advertisement requests received we do not have a fixed price. Prices will be determined based upon the context of the requested promotion in addition to the desired time frame. If you would like to advertise with TechGeec.com please complete the form below. 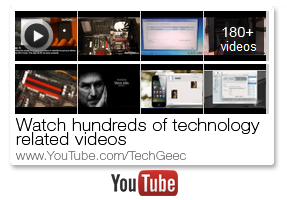 Note: advertising is not available via the TechGeec YouTube channel.